One of my remote controls died recently. I'm trying to find the problem component on the board and I believe this is it. However I'm not sure what this component type is called, and more importantly, where to find another one. Help identifying it would be much appreciated! From the designator (X1) that would be a crystal or oscillator of some kind. 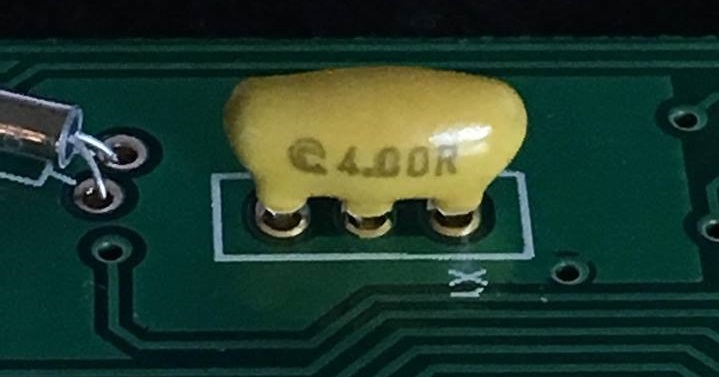 From the shape and given that it has three pins, I'd say it is a ceramic resonator being used in an oscillator. From the marking, most likely 4MHz. Not the answer you're looking for? Browse other questions tagged components identification or ask your own question. What is this broken component?